Running in Flagstaff, Arizona. 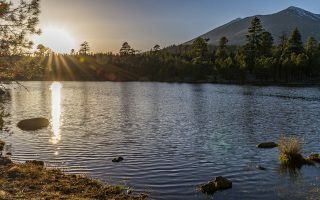 Best routes and places to run in Flagstaff. 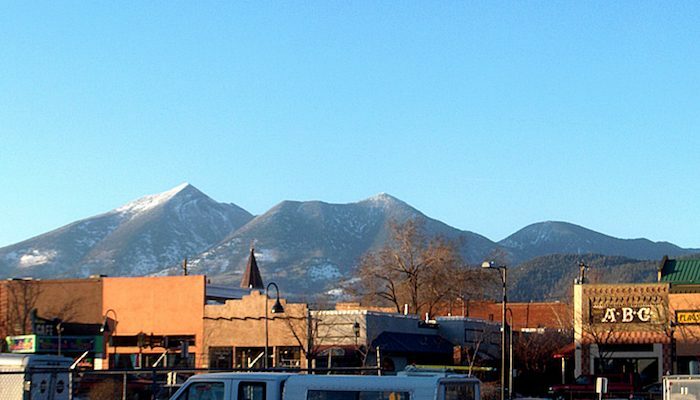 The northern Arizona city of Flagstaff, tucked into a sprawling ponderosa pine forest at the base of the San Francisco peaks, sits at an elevation of 7,000 feet along the Rio de Flag. 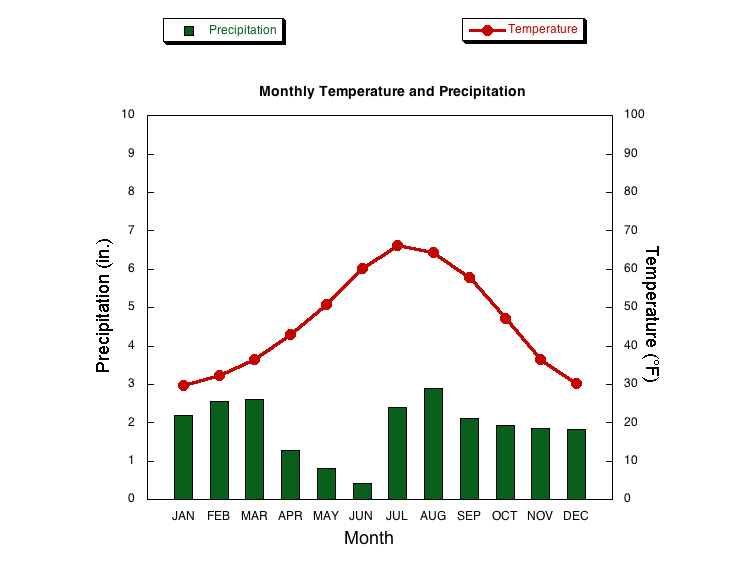 It is famous as the location of the Lowell Observatory, Northern Arizona University, and as a basecamp for recreation to the Grand Canyon and Route 66. There’s a great scene for running in Flagstaff, smaller but with a similar feel to outdoor/fitness oriented spots such as Boulder, Bend, and Bozeman. 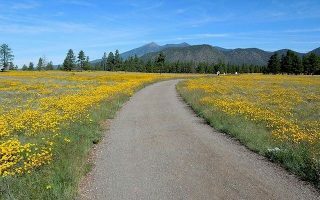 The best places to run in Flagstaff incorporate the extensive Flagstaff Urban Trails System (‘FUTS’), which includes the beautiful Buffalo Park loop and an out and back through Sinclair Wash. Runners will also find plenty of road running, whether it’s the paved shoulder of Lake Mary Road or the extensive dirt surface of Woody Mountain Road. Trail runners will find some of the best running off of the Schultz Creek Trails. For a nice tour of the downtown and university areas, we’ve mapped a 4 mile loop. Sedona is also an easy day trip from Flagstaff, so those with more time on their hands should see our running guide to the Sedona area. Flagstaff is a relatively small city, and well-linked by sidewalks and bike lanes, so getting around on two feet or wheels is quite easy. For further travel, there is solid, affordable bus system, or the option to call for an Uber or taxi. However, since most visitors to the city also plan to access other nearby areas, a car is the most recommended means of transportation. 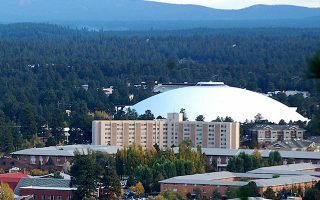 This 4 mile route is a nice sightseeing tour of downtown Flagstaff and Northern Arizona University, featuring street art, commercial areas, and residences. 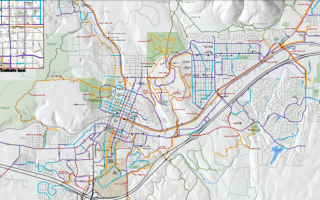 The FUTS network boasts over 50 miles of multi-use paths across the city. Highlights including Sinclair Wash and Thorpe Park, both of which are scenic and have options for a flat or hillier run. Buffalo Park is one of the best running routes in Flagstaff, with two miles of wide, easy-going dirt trail and great views from the top of McMillan Mesa. Combination of open grasslands and woods. Good options to add on. 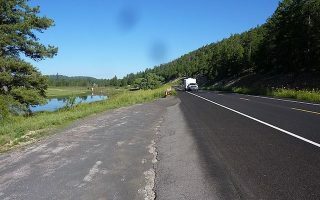 The best pavement running option in Flagstaff is scenic Lake Mary Road, which goes on for well over 50 miles. The most scenic section is the 5 mile stretch along Lake Mary, located about 13 miles south of town. A quiet dirt road with lots of rolling hills remains open and plowed in wintry weather. Most runners do an out and back from the Arboretum at Flagstaff. Flagstaff has amazing trail running around every corner, but some of the favorite routes start out from the Schultz Creek and Schultz Tank Trailheads. Lots of variety here -- and some good hills if desired! Most Flagstaff hotels are centered around downtown or along Route 66. 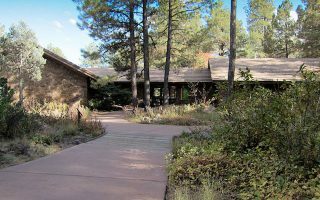 For lodging options and more info, see Flagstaff.com. Flagstaff has numerous running stores, many of which host group runs and other events. Run Flagstaff sells all sorts of gear and gives excellent running advice and is the signature running store in town. There are myriad options for running groups. Team Run Flagstaff hosts track runs Tuesday evenings at 6 pm. The Northern Arizona Trail Runners run a different trail each Saturday morning at 9 am. Join Biff’s Bagel Run from the bagel shop each Thursday morning at 8 am. The Flagstaff Trail Divas is a women-friendly group that meets on Thursdays in the summer and Sundays in the winter. Diehard and distance runners should check out the Flagstaff Ultra Running Club and the Northern Arizona Elite. See a list of upcoming running events in Flagstaff here.